The dining room is the center of attention. It's the place where the entire family gathers to enjoy a hearty meal, exchange stories, and reconnect with one another. As such, the dining room table is one of the single most important aspects of home decor. 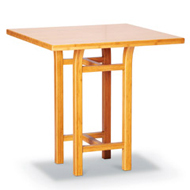 An elegant Asian dining table sets the precedence over other areas of the home. 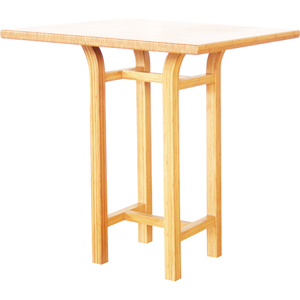 At Tansu.net you will find a small collection of unique Asian furniture. These pieces are unlike any others that you've seen in stores or on other websites. Each of the items we carry is handpicked on the premise of quality craftsmanship, uniqueness, and overall aesthetic appeal. Furnish your dining room with gorgeous pieces that capture the essence of oriental design. 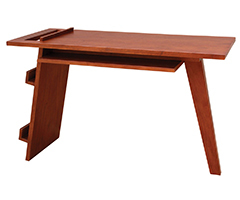 Discover modern dining tables made from environmentally friendly bamboo wood. As it turns out, bamboo actually comes from the grass family. Growing at astonished speeds, bamboo is an eco-friendly material that eliminates harmful toxins in the home. Peace. Tranquility. 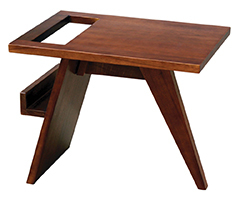 Our modern Asian dining tables are sleek, stylish, and modeled after traditional oriental design standards. Minimalism places the focus on simplicity, cleanliness, and a sharp presentation. These are reoccurring motifs in Asian furniture designs that echo peace, tranquility, and balance. Find your place of Zen as you restore your body with nourishing ingredients. 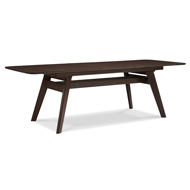 Fill your home with authentic Asian dining tables that create a soothing visual that flows effortlessly. A fluid presentation will make every aspect of your home's decor seem well-thought an unforced. Modern, natural, and unobtrusive. If you have any questions or concerns, you can call 1-888-938-5556 for immediate assistance. Specializing in modern handcrafted Asian furniture, the team at Tansu.net has an affinity for Asian furniture design that is unmatched.